Product prices and availability are accurate as of 2019-04-20 04:52:17 EDT and are subject to change. Any price and availability information displayed on http://www.amazon.com/ at the time of purchase will apply to the purchase of this product. 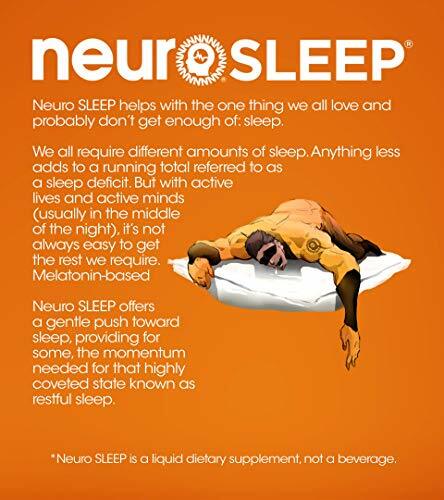 neuro SLEEP helps with the one thing we all love and probably don't get enough of: SLEEP. We all require different amounts of sleep. Anything less adds to a running total referred to as a sleep deficit. But with active lives and active minds (usually in the middle of the night), it's not always easy to get the rest we require. Melatonin-based neuro SLEEP offers a gentle push toward sleep, providing for some, the momentum needed for that highly coveted state known as restful sleep. 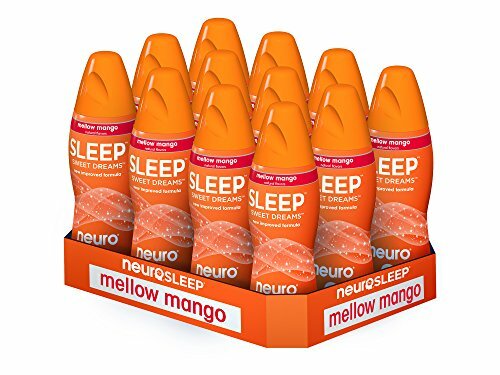 Caution: Neuro SLEEP provides 3 mg of melatonin per bottle. Melatonin is not recommended for children or women who are pregnant or nursing without the advice of a physician. 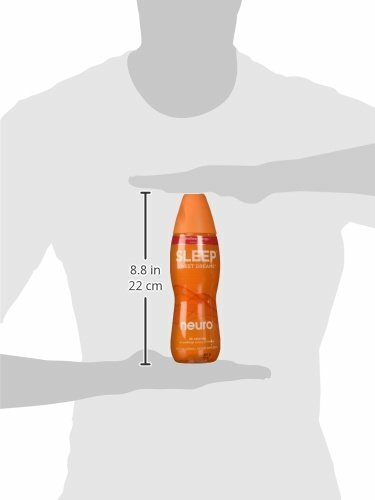 For more information on the safe use of neuro SLEEP. 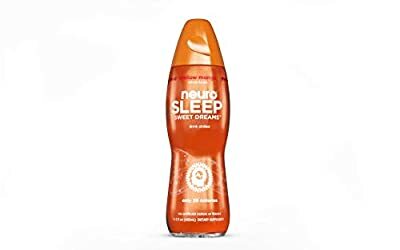 - NEURO SLEEP, non-carbonated, combines the benefits of melatonin with 5-HTP (5-hydroxytryptophan), magnesium and L-theanine, plus the superfruit extracts pomegranate, acai and blueberry. 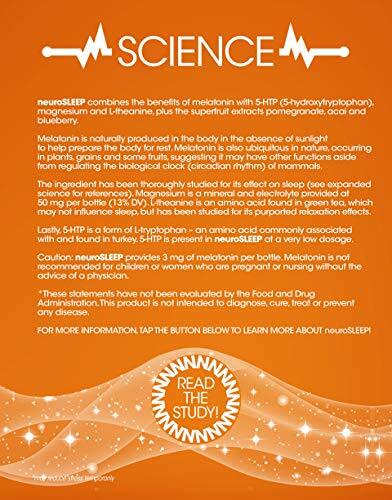 - MELATONIN is naturally produced in the body in the absence of sunlight to help prepare the body for rest. Melatonin is also ubiquitous in nature, occurring in plants, grains and some fruits, suggesting it may have other functions aside from regulating the biological clock (circadian rhythm) of mammals. - MAGNESIUM is a mineral and electrolyte provided at 50 mg per bottle (13% DV). - L-THEANINE is an amino acid found in green tea, which may not influence sleep, but has been studies for its purported relaxation effects. - 5-HTP is a form of L-tryptophan - and amino acid commonly associated with and found in turkey. 5-HTP is present in neuro SLEEP at a very low dosage.